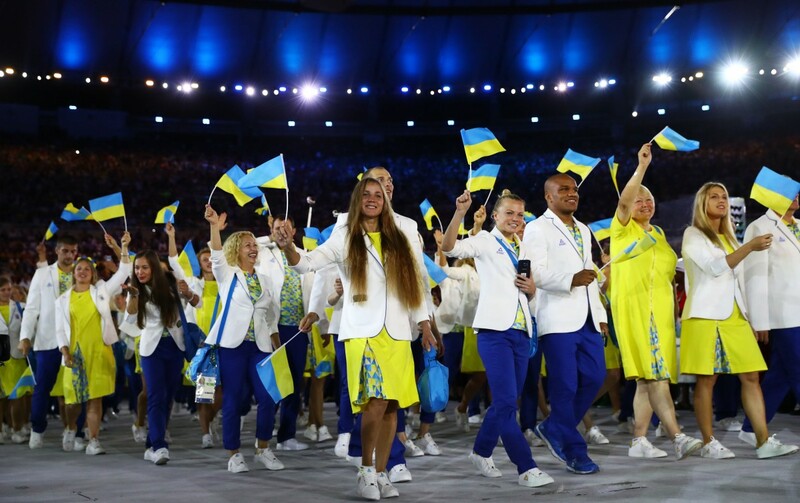 Team Ukraine finished the XXXI summer Olympic Games in Rio de Janeiro with the worst result in its history by the number of gold medals, total of medals and place in the medal standings. 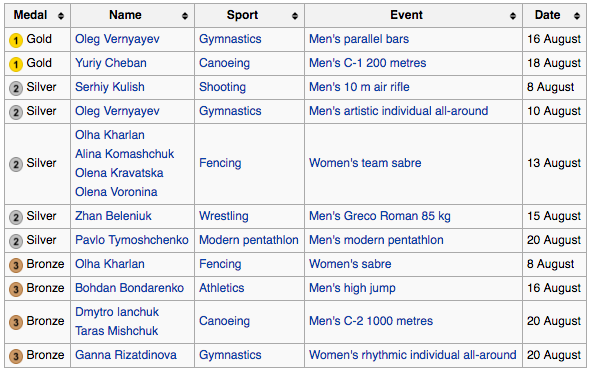 During the Olympic games, Ukraine has won 11 medals and occupied 31st place in the medal standings. The undisputed winner of the medal standings was USA that took 121 medals — 46 gold, 37 silver, and 38 bronze. Second place went to the UK, she’s got 67 medals, including 27 gold, 23 silver and 17 bronze. Third was China with 70 medals, including 26 gold, 18 silver and 26 bronze. The table of the medal count of the 2016 Summer Olympics, based on the medal count of the International Olympic Committee (IOC). These rankings sort by the number of gold medals, earned by a National Olympic Committee (NOC). BACKGROUND: In the history of the Olympic Games, Ukraine has won 133 medals, which puts them in the top 20% of medal winning countries. Ukraine has participated in 12 Olympic games, averaging 11.1 medals each Olympic games. Of the medals, most are bronze medals which make up approximately 47% of the total medals. Gold medals account for 28% of the total medals, followed by silver medals at 25%. Like most countries, Ukraine has won most of its medals during the Summer Games. Ukraine has won about 18 times as many medals during the summer games compared to the winter games. We also recommend you read: Ukraine scoops two Olympic medals, Ukraine’s Svitolina beats Serena Williams at Rio Olympics, 28 Kharkiv athletes to participate in 2016 Olympics, Kharkiven leads the top 7 most beautiful Ukrainian women at the Olympics.